Kite surf Canary Islands: Where to learn to kite in the north of Fuerteventura? An ideal place for beginners in kitesurfing. 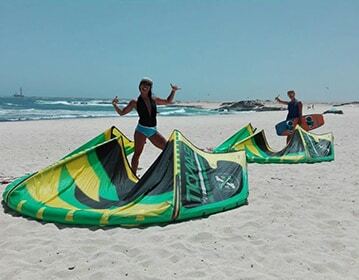 In Corralejo, northeast of Fuerteventura, you will find the Flag Beach kitesurfing spot. It is a protected area, located in front of the island of Lobos, ideal for all levels of kitesurfing. The wave breaks into different peaks towards the beach, so it is a perfect place for all kitesurfers, whatever their experience. It should be noted that access to water in Flag Beach is very easy, even for beginners. This beach, whose original name is “Punta Prieta”, is now better known as Flag beach. This beach is exposed to the prevailing trade winds in spring and summer. 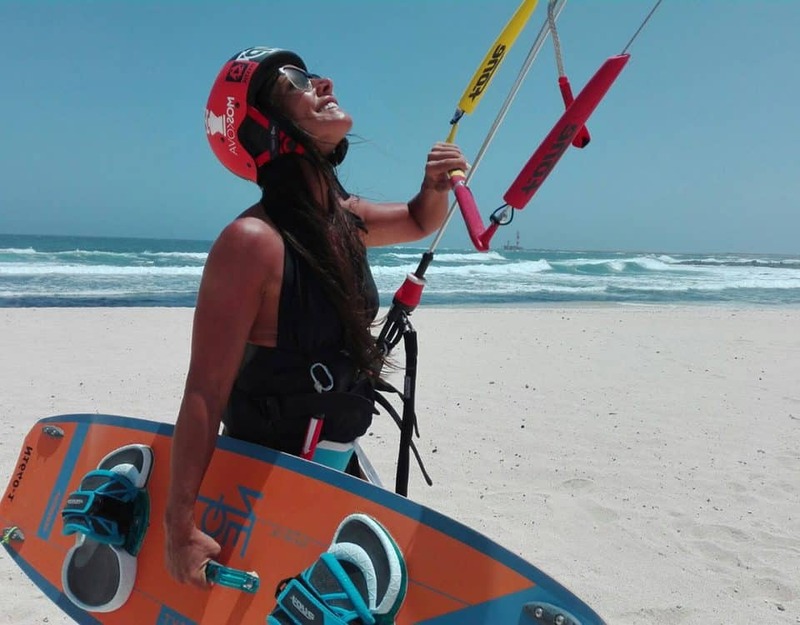 It receives moderate waves and offers excellent conditions to practice kite surfing in Fuerteventura and have fun while practicing kitesurfing. In the following table, we represent the best way to get in and out of the water with your kite board on the famous beach of Corralejo. This beautiful beach is part of a protected area, facing the island of Lobos. With its gentle waves breaking into different peaks, it is an ideal place for kitesurfers of all levels and ages. It is a beach in its entirety of white sand, only a few minutes from the centre of Corralejo. One of the best spots in the north of the island for kite surfing and windsurfing. prevailing wind from the North sector. The optimal wind conditions are those of the North or North-West, ideal for all levels, beginners and advanced. With an easterly wind only recommended for advanced sailors, who can sail well upwind. As well as the offshore winds. Important attention to its bottom / Volcanic low, it is recommended to sail preferably at medium to full tide. Although it is possible to sail in optimal conditions throughout the year, the most constant wind season is between March and September, with alder winds. Kite surfing Canary Islands: When to go kitesurfing in Fuerteventura?